Comba Telecom, a leading global wireless solutions provider announced at Mobile World Congress this year its 5G solutions that enable state-of-the-art 5G connectivity with their breakthrough Massive MIMO and Beamforming technology. 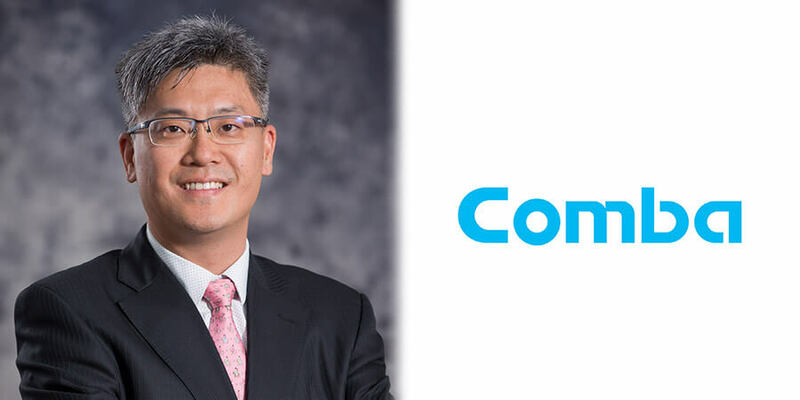 On this occasion, Telecom Review interviewed Simon Yeung, Executive Director and Senior Vice President of Comba Telecom System Holdings Limited and President of Comba Telecom Systems International Limited. Before talking about Comba's 5G activities, Simon Yeung gave an overview of the company's main solutions. He explained how the company has been providing capacity and coverage infield to its customers in addition to advanced antenna solutions. "We basically provide general network and capacity improvement solutions for the customers. In the past, it was more of a niche market, but over the last five years, with 4G and data explosion, this capacity and coverage infield is becoming a key strategic investment for operators. We are focusing on providing better solutions for our customers in city centers, stadiums and subway systems where the traffic density comes from. In the past, most wireless operators and solution providers were focusing on general country-wide coverage and capacity solutions without focusing on doing more efforts in city centers. Now with all OTT services, that is the main focus and this is where we fit very well," he said. Nowadays, telecom operators are trying to expand their networks and improve their capacity in order to be ready for the advent of 5G which will naturally increase data traffic and require higher speeds. Comba Telecom is in the best position to be a leader in the 5G revolution. "Many people are saying that 5G is not going to be a nation-wide coverage, but a focus solution that provides bigger capacity network to where the services are, such as city centers, shopping malls and transitions. That's where people will use 5G and where our solutions will fit in. 5G is a natural evolution for us to provide extra services. 4G and 5G are only buzz words, but at the end of the day, it is actually a technology that provides more and more services so that the customer can have a much better ubiquitous services and solutions," Yeung stated. He expressed his excitement about this technology which he considers won't be a mere upgrade from 4G. "5G is going to make a huge difference by liberalizing the market- companies can become a network by itself and with shared spectrum, they'll be running their own 5G spectrum. This liberalizing will take time but a lot of big enterprise customers and cities are coming in and building their 5G networks." Medium sized companies like Comba will become a much bigger player in the market, according to the President of Comba Telecom Systems International Limited. "We actually have a good base for 4G solutions and services and we think that migration is the key to be successful." Whether Comba Telecom has started testing 5G solutions, Yeung said, "We work very closely with strategic partners. Some of our 5G radio solutions are already undergoing commercial trials in North America, China and Hong Kong. With the technology starting to solidify, we will be able to create new product solutions." This year, Comba Telecom showcased innovative solutions at Mobile World Congress. The most remarkable one was the 8x8 Massive MIMO antenna which is a key element for 5G success. "The 5G antennas incorporating our Massive MIMO Beamforming technology have been adopted by a world-leading mobile operator, supporting its efforts to tap global 5G-related market opportunities," he said. "Comba Telecom will continue to deliver more new technologies to help operators better address the expanding connectivity needs of enterprises and enhancing user experiences, paving the way for the world to establish 5G smart cities." Furthermore, the company showcased many smart city applications such as ScanVis face recognition solution and UWB location tracking solution in addition to more complicated antennas that have 16 ports to provide high capacity penetration using multiple bands of up to 8 bands. This will allow operators to run a much more complicated network without paying more in terms of rental. Comba Telecom presented also critical communications products, public safety solutions as well as 5G and 4G capacity enhancement solutions. The leading global wireless solutions provider has more than 30 offices in China and more than 10 offices in Asia Pacific, North and South America, Europe and the Middle East. As for its operations in the Middle East, Simon Yeung noted: "We have been working with operators in Dubai and Qatar and have provided a lot of solutions for operators in Abu Dhabi and Dubai. Comba provides 3G and 4G solutions to many buildings in Abu Dhabi including the airport. We are working with them to provide fixed wireless solutions." Comba Telecom aims to launch new solutions and products throughout 2018, notably new antenna products that allow it to reduce operator's cost while preserving the same efficiency. It's also "launching standalone and operator solution as a wireless solution for operators in rural areas or certain standalone facilities. We are focusing more on offering smart solutions in addition to sensors and management solutions to monitor power usage of operators to be able to reduce the cost so they can run a more effective network."